When you’re working off scaffolding or the edge of the roof, safety railings are top of the list. There are, however, several places where you need safety railing but often you do not realize it. Here are the top five unexpected places you need protective rail guard to keep you safe. Roof hatches: For the most part, we forget these are dangerous because they should be closed if you are not climbing through them. Sadly, many roof hatches are frequently left open to allow for easy entry and this creates a hazard. Simply not paying attention can result in a dangerous fall. Having a safety rail prevents this and offers a handhold for ascending and descending. Roof to roof drops: When it comes to roof edges, we typically think about the outer perimeter. There are places on many roofs where you find drops to lower roof levels. Any change of elevation can be dangerous and result in a fall, so safety railing can prevent this when working around roof drops. Skylights: There is no visible opening to alert you of a potential fall with skylights, which creates a hazard. They also provide a false sense of security as many do not realize how little weight they can actually hold. Skylight guard rails protect the skylight from damage and workers from a dangerous fall. Ladders mounted to a wall: Ladders can be used to reach a roof or between roof levels. A ladder mounted to a wall near the edge of a roof can be dangerous. You can fall from the ladder as you climb or from the top as you wait for your turn to descend. Rails along each side of the ladder as well as around the top can protect workers. Parapets: When these are high enough, parapets can protect you from a fall. The trouble is that many are too low to provide security. Any parapet under 39” is not going to protect you. Any parapet over 21” should have a safety railing that reaches the 39” minimum height required for safety. 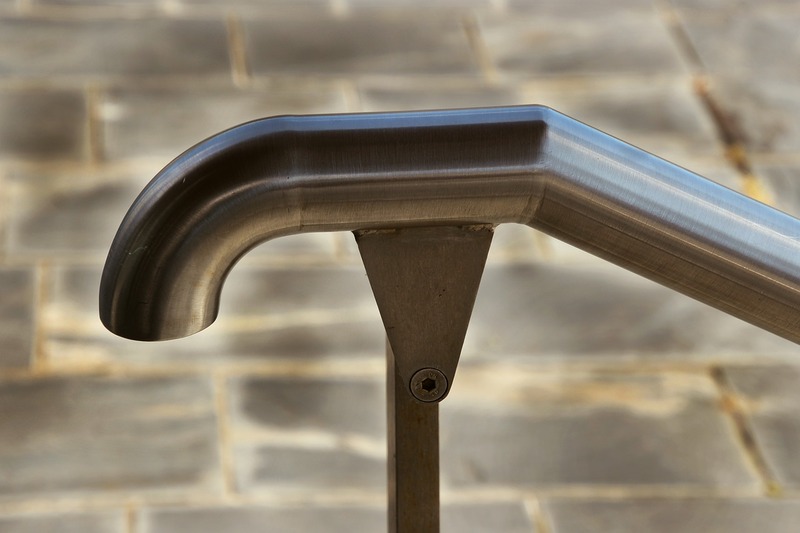 Safety railing can save your life so it is important to consider all the places it may be necessary. Overlooking these common places can result in fatal accidents so take the time to evaluate every work situation and environment. It is always better to be safe than sorry and to get a safety rail put in place.